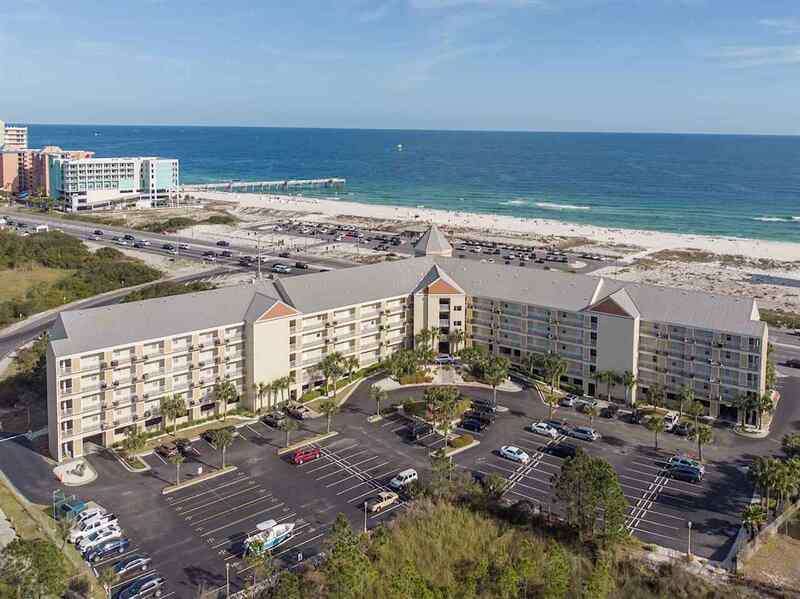 Grand Caribbean is a great property right in the heart of Orange Beach! EASY ACCESS to the BEACH and the BAYS for boating! Make everyone in the family happy! Orange beach public BOAT LAUNCH right next door (with adjoining parking lots)! Orange Beach Cotton Bayou public beach just steps away. Seller manages rental and has strong rental history. The unit is 2 bedrooms/2 full baths. Balcony looking to the gulf. Fully furnished and ready for your family to enjoy. Eight dedicated first come/first serve boat parking spots for owners. Guests can rent boat parking spots while visiting for $20/day. Schedule your showing today! Directions: Go South On 59 To Beach Blvd. And Go East. Follow Approximately 6.5 Miles And The Complex Will Be On The North Side Of The Road.